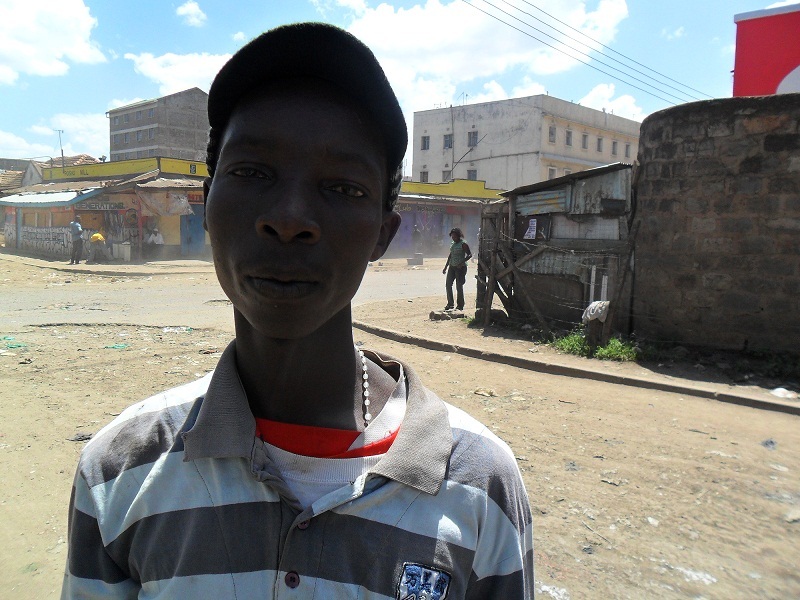 For the past 16 years Elijah has managed to live in the streets of Eastleigh and earned respect among his peers. 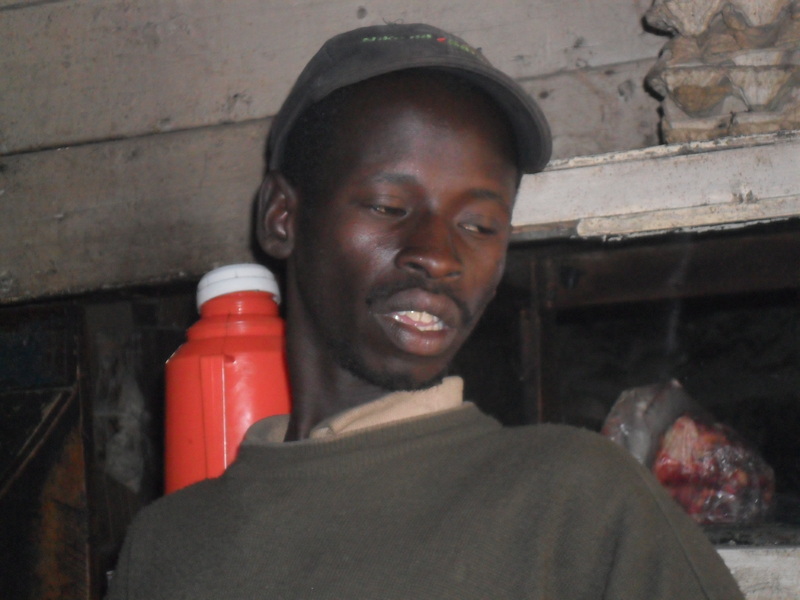 He is usually in the company of 17 other boys apart from his wife Kajanie (Jane), 17 yrs, who is currently recuperating after giving birth to a baby boy. Elijah has three other brothers on the team. The group of 17 usually holds elections every year to elect the chairman and speaker. In the last 7 years Elijah has been the chairman unopposed. He is considering retiring from the post now that he is a father. Another powerful position is that of the ‘Speaker’. The speaker must have a mobile phone apart from being easily accessible by the group members. He is trusted with the groups secrets and he’s also the first contact with the visitors. During this interview I was first directed to the speaker by a group member Magoti (Knees). After explaining the mission, I was then referred to the group’s chairman who granted me the permission to conduct the interview. When you look at the group of boys, one will not realize how organized the boys are despite wearing dirty clothes and torn shoes while others are high sniffing glue. 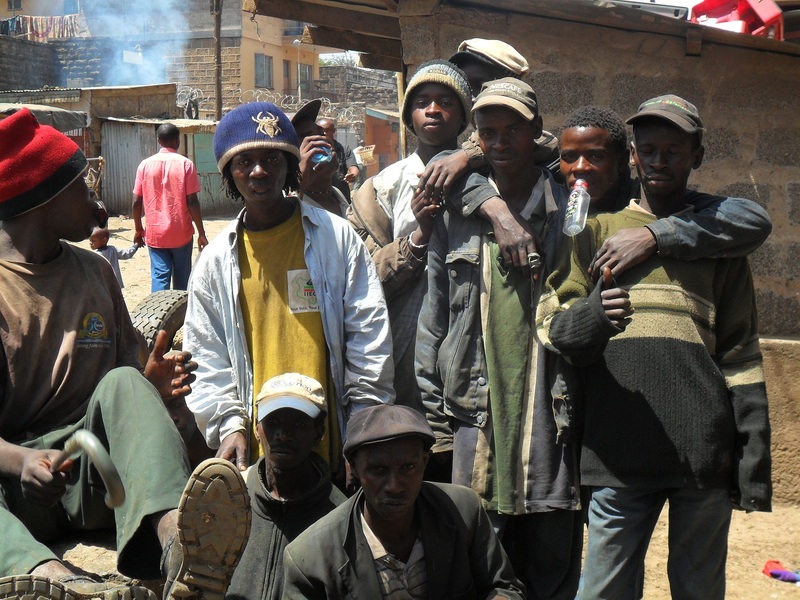 Most of the group members sleep along the streets of Eastleigh while a few boys have rented a house in Mathare. They refer those who have rented houses as wadossy (the rich). The boys seek their living out of sorting garbage in the houses nearby and some work as porters for people alighting from the bus with heavy luggage. Those who sleep along the streets also provide ‘security’ to women who own grocery kiosk. Elijah is respected because every evening he ensures that everybody eats through sharing what each has earned during the day. Failure to share with those who are sick can lead to expulsion or “ex-communication” which means that you are not protected from other boys in case of attack.